When you want to impress people with your sound system, competition subwoofers are one of your best options. A combination of raw power, high specs, and impact mean that other options are not usually able to compete. If you want people to hear you and your speakers coming, then competition subs will make sure that happens. Yet as we have seen time and time again, even within a single category, there is an incredible amount of variation, both in quality and ability. Before making your choice, you should probably get to know the big groups behind making these speakers and what is available for you. This article will look at what types of competition subs are available to you and which brands are known for being the most reliable. To top it all off, we will give you a short list of some of the best competition subwoofers available to you. The 10 inch speaker is one of the smaller sizes available on the market and certainly doesn’t compare with larger models (such as the Orion or the DC18). The Decibel sensitivity is a little smaller than the alternatives, meaning it is definitely not going to manage the same volume levels. Moreover, the speaker only manages 500 watts – much, much smaller than most of the alternatives. With the smallest speaker size, lowest wattage and decibel sensitivity, these speakers are not the strongest on the market. However, Kicker has done what they set out to do here. these speakers are certainly one of the cheapest available. Reviewers constantly rave about the sound quality and the power these lightweights manage to produce. A lot of people tend to pick this option if their car is too small, or they want to hook it up inside a separate enclosure. This means that the kicker is incredibly versatile and a great option if you are looking to mod your car. The MOFO is standard mid-market model competition speaker. 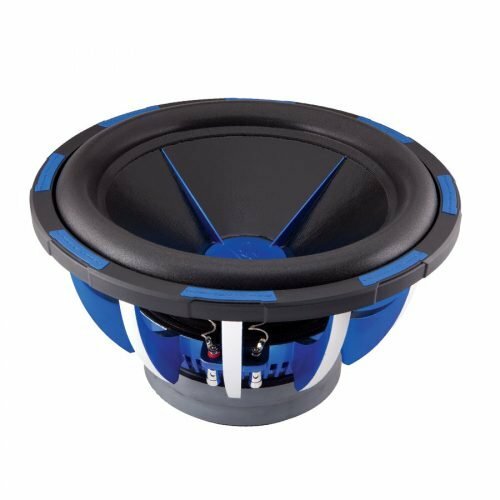 The trademark blue color illuminates a 15-inch speaker capable of 3000 watts. This means that the MOFO is capable of being loud but at the cost of sound quality. This is very cheap for a 15-inch competition speaker. So the price is pretty low, but the speaker itself is actually pretty decent. The materials being used inside are not the best, but they are not the worst. Many reviewers have praised the speaker for delivering good quality sound for their volume needs. What I will say is that the MOFO isn’t for the professional. It caters much more to the amateur or beginner when it comes to competition speakers. If you are looking for something which is really going to blow the competition away, then you are going to want to continue reading. The JBL W12GTI MKII comes in as the second most powerful speaker on this list. 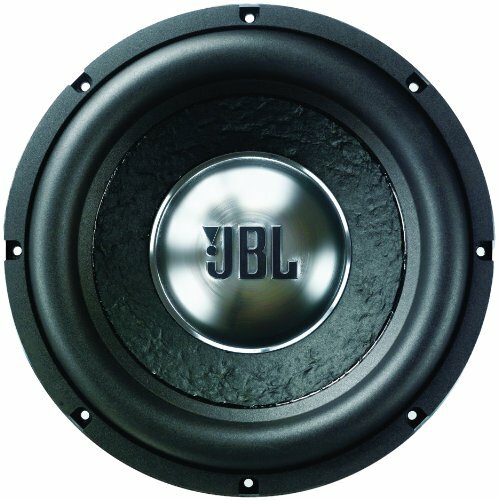 JBL manage to create a decent speaker for a lower price than Orion. A speaker size of 12 inches and maximum wattage of 4,000 watts means that this is going to be capable of turning a few heads. Whilst not the strongest speaker available, it is a very sturdy and reliable option for its price range. The build quality is excellent, and you can really see how JBL’s experience with making a range of different types of speakers has helped them to improve on this. The Orion HCCA152 is not to be laughed at. It is one of the most expensive options offered by Orion, who have ensured that it doesn’t disappoint. 15 inches in size and with a maximum wattage rating of 5,000 watts (ten times that of the Kicker), the HCCA152 is certainly a heavyweight. If you are looking for the best competition subwoofers, this is probably going to be one of your first choices. However, not everything about the HCCA152 is the best. Because of the size, it is going to use more power and need cooling. Whilst it comes with a great cooling system, it is still going to get pretty hot. In a small car, this isn’t really a very good option. Moreover, the actual logistics of sticking this inside a small car isn’t going to be easy; if possible at all. The HCCA152 is a brilliant option for a competition subwoofer if you are looking for power above all else. You are going to need to check to see if you can support it though, and if not, it would be better to go with a smaller option. The DS18 Hellion is one of the most professional competition speakers available on the market. Managing to pack in a 12 inch speaker and a wattage rating of 3,500 watts, it is unlikely to disappoint. The Hellion is built to ensure it has the best sound quality you could want. As DS18 themselves state, it is really designed for audiophiles and fanatics. The speaker comes packed with some of the highest quality materials money can buy, and it pays off because the speakers manage to sound and look incredible. Moreover, they manage to do this in a smaller space than the alternatives. Many professionals in the industry are currently saying that the Hellion is one of the best speakers on the market. If you are looking for one of the best competition subwoofers for your car or competitions, then the Hellion is probably going to have to be at the top of your list – if you can afford it. The first option is always going to be volume. 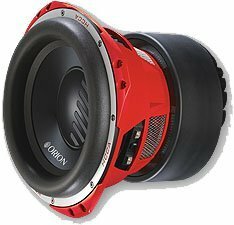 Volume is probably one of the most important factors when it comes to getting hold of a competition subwoofer. If you are used to normal speakers, then the bass on competition subs is probably going to surprise you. The second option for what you might want your speakers to focus on is bass. Bass means that people are going to not only hear your subwoofers but feel them. The stronger the bass, the stronger the vibrations, and the more impact they are going to have on those around them. Bass is great, but can cause the sound to become a little bit muffled if the speakers don't have enough power. You bought your car because it looked good. You added some modifications to your car because it looked good. You decided you wanted to install some competition subwoofers because it looked good. So why would you want to buy something which doesn’t look good? Good looks are important, and making sure you have something which stands out and boasts aesthetics, as well as sound quality, is an important factor to consider when competing. The heavyweight, as its name would suggest, is heavy. It is designed to have it all. A distinct mix of volume, bass and looks. This is great when it comes to competing, and when combined with the right sounds, will usually leave any owner the victor. However, it’s not always the easiest of the options to accommodate. In order for all of these features to be included to their full capacity, the heavyweight becomes quite a bit of a power hog – meaning you are going to need a bigger power source and you are going to need a way of keeping it cool. The heavyweight can overheat if not installed correctly, and that might mean causing damage to other things. Orion and DC18, as we will see later, are good producers of the heavy weight. The lightweight isn’t a bad option. It is not like someone took the idea of the heavyweight and decided to flip it on its head. The lightweight actually does manage to hold its own when compared with the other types available. The difference with the lightweight option is that it aims to provide a good, reliable and powerful sound system in an inexpensive and lightweight package. You are not going to get some of the superiority of the heavyweight, but then you are also going to pay a lot less. Kicker is one of the better brands when it comes to the lightweight. When it comes to competition subwoofer brands, like with any type of product, you are going to want to make sure you buy reliable. There is a huge selection, but below are some of the best options available to you. Orion is known for making some of the biggest heavyweights on the market. They are a great supplier and offer a huge amount of support and help for beginners. However, you should remember that their speakers are probably more for the experienced user. 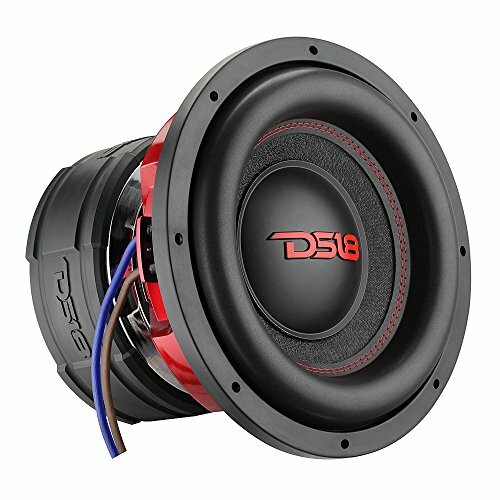 Their website here (http://www.orioncaraudio.com/) is a great place to go to find out more information on what type of competition subwoofer you are looking for. They do offer cheaper options for the beginner, but I would suggest that you wait until you are more experienced before you buy an Orion. Their heavyweight status means they need much more power and money, not only to buy and install but to run. Similar to Orion, DC18 are another brand aiming to develop some of the biggest and most reliable competition speakers available. They do not have as much of a range as Orion, so they tend to focus on making sure they are developing some of the best heavyweight competition speakers available. This means that their speakers are a little bit more expensive when it comes to price and quality. There is no doubt that amongst all the heavyweight competition subwoofer brands, DC18 are one of the strongest and most reliable available. You might recognize the name JBL from the more mainstream speakers they tend to produce. Portable bluetooth speakers: these are not. JBL actually does manage to develop and market some of strongest subwoofers available. This is surprising because when it comes to competition subwoofer brands, others tend to focus on only competition subwoofers. For JBL, this is just one of many different types of speakers they produce and bring to market. Because of this, whilst the JBL speakers are brilliant, they tend to focus on volume and bass power and fall short when compared to the more specialized and experienced Orion systems. JBL, however, are cheaper and they might just manage to fill the gap you are looking for. Power Acoustic tend to supply subwoofers in the mid-market range. They are a decent option if you are looking for something better than most, but either don’t want or can’t afford some of the more expensive options offered by groups such as Orion and DC18. They are designed to look good, and perform well, but are certainly no real heavyweights. If Orion is known for making the biggest heavyweights on the market, Kicker is known for making some of the lightest lightweights on the market. They aim to develop cheap competition speakers which are able to stand up for themselves when face to face with the bigger brands. Admittedly, you are not going to be buying one of the strongest speakers if you choose this brand. You will, however, be purchasing a speaker capable of building on your stock sound system and giving you a fair amount of bang for your buck. Kicker is probably more for the beginner than a more advanced user. However, if combined with a good amplifier, some have claimed to have produced incredibly impressive results from such small speakers. Driving around with a souped up car isn’t everyone’s cup of tea, but if it is yours, then you are going to want to invest in a good pair of competition speakers to show off. I have given you five option which you may want to buy. If not, there are even more options available to you online. What you really want to look for is what does your speaker focus on? Are you looking to buy a speaker for its volume, bass or looks, and do you want to make sure you have the best possible equipment money can buy, or would you prefer to invest in something a little more cost-effective? Whatever your choice, make sure that your competition subwoofer blows the competition away and doesn’t leave you in the dust. Gerald is a self-taught audiophile who loves playing around with the latest and greatest audio gadgets and tools. When he's not here reviewing the latest gear, you can find him at the lake or on the slopes.